You know exercise is good for you, and it has so many health benefits beyond weight loss: it can help prevent disease, relieve anxiety, give you more energy, and help you sleep. But how much should you be doing a week? The new exercise recommendations, published on Nov. 12 in JAMA titled “The Physical Activity Guidelines for Americans,” were created by the Department of Health and Human Services and outline how much exercise the average American adult should do for overall health. 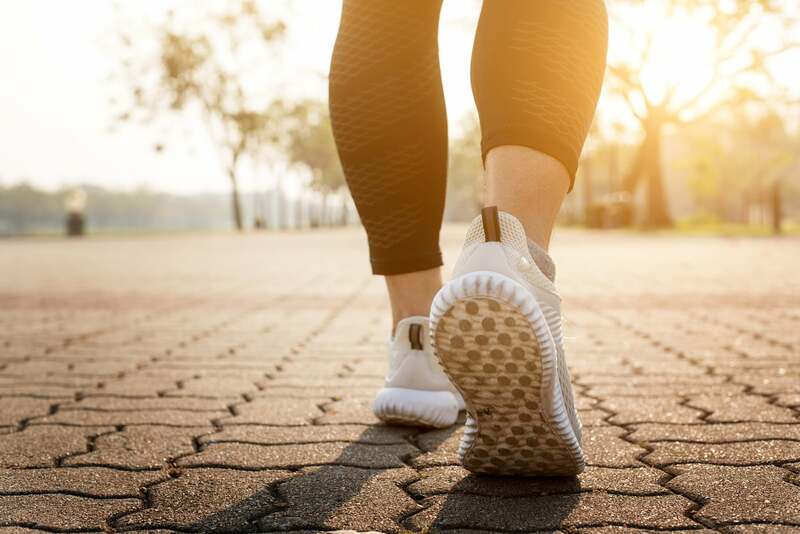 The 2018 Physical Activity Guidelines Advisory Committee came to these guidelines after conducting a “systematic review of the science supporting physical activity and health,” according to the article in JAMA. The new guidelines, which are the first to be updated since 2008, say adults should do at least 150-300 minutes a week of moderate-intensity exercise, or 75-150 minutes a week of vigorous-intensity aerobic activity. They also recommend doing strength training activities (such as weightlifting or resistance training) two or more days a week. If up to 300 minutes (five hours) of exercise a week sounds like a lot, the advisory committee defines moderate-intensity activity as brisk walking, playing volleyball, or raking the yard; basically, anything that gets you moving and gets your heart rate up from its resting pace. The minutes you spend walking quickly to your car, taking the stairs, and doing yard work all count. Vigorous-intensity activity depends on the level of effort you put in, but is generally more intense exercises such as Spin classes, running, swimming, or doing a HIIT class, and you only need to do 75-150 minutes of this type of activity a week for overall health. But even light-intensity physical activity, such as walking slowly (2 mph or less) or light chores, add up and can provide health benefits, “especially if a person replaces sedentary behavior with light-intensity activity,” the report states – just not as much as moderate or vigorous physical activity. If you hate going to the gym or are dreading that HIIT class every morning, you could dial back your exercise and focus more on activities you actually enjoy: hiking with a friend, biking around the neighborhood, or swimming laps at the local pool. It all adds up and improves your overall health as opposed to just sitting on your couch.